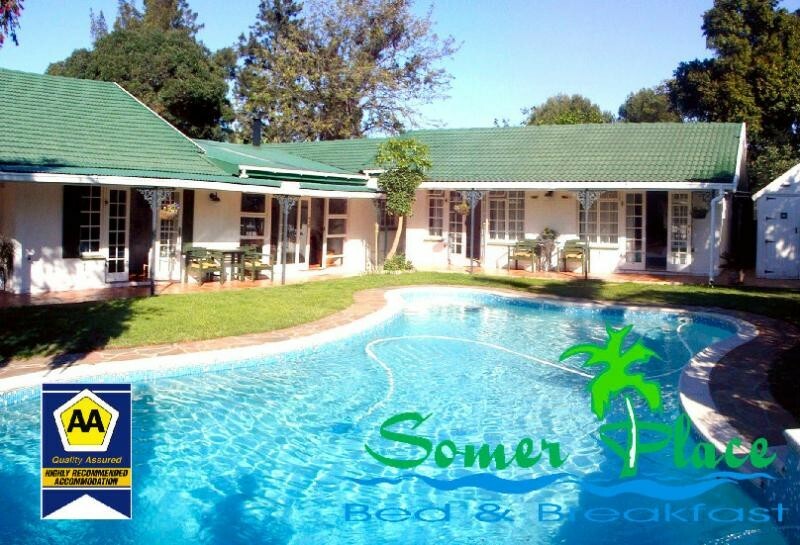 Our cozy, individually managed Inn “Somer Place B&B” is located at the foot of the Helderberg Nature Reserve in the quiet, safe neighborhood of Somerset West, close to the lively metropolis of Cape Town(30 min) and the Cape Town International Airport(25 min). Somer Place is the ideal point of departure for excursions into the Cape Area, Overberg and Winelands: Stellenbosch (20 min), Paarl, Franshoek (both at 45 min) and Hermanus (70 min). 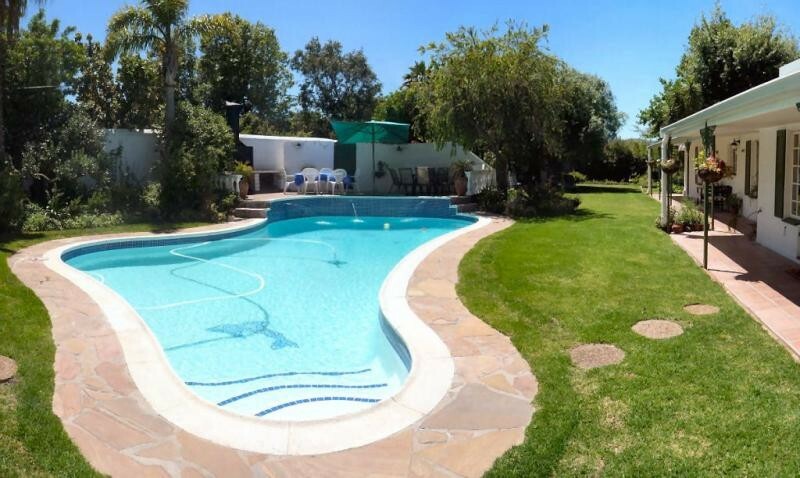 Highly recommended 3 Star B&B and a tranquil haven situated 30 min from Cape Town, in the surrounding countryside of Somerset West. The Lord Charles Hotel is only 3 min. away from us. 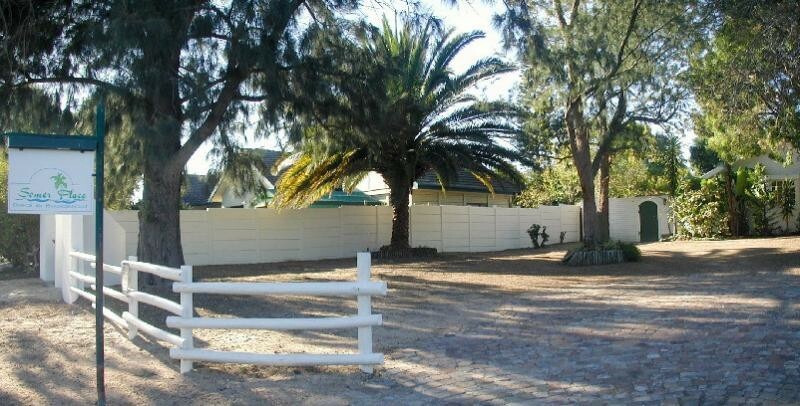 Close by the Winelands and the beaches of the False Bay. To the airport you need in only 25 min. We are welcoming business people and holidaymakers alike. 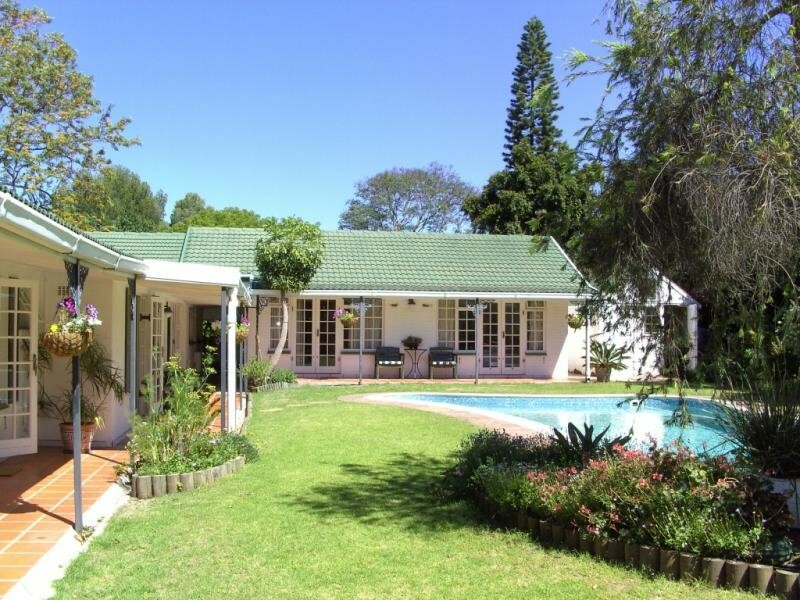 Enjoy a quiet location, as well tended garden, large pool, and a delicious breakfast. 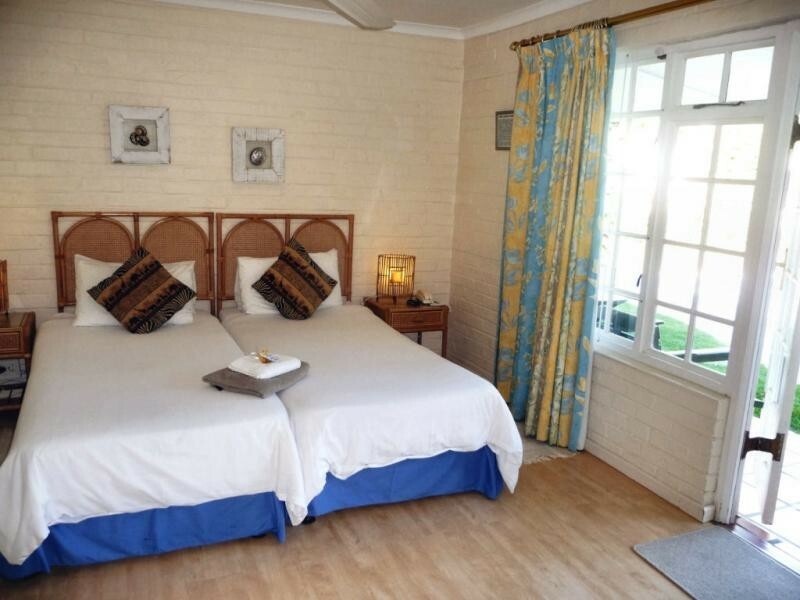 We have 6 double and 1 family room (all with en suite bathrooms).The rooms are modern and offer you a number of conveniences TV, fast internet, wireless, telephone (affordable phone calls via internet), tea & coffee tray and fridge. Fax facility and laundry service are available. We would like to help you with ideas around you stay with us. We can also assist you by arranging your rental cars, booking a table in one of the good testy local restaurants, etc. We offer you airport transfers and individual & special tours (E.g. Township- and Winetours). 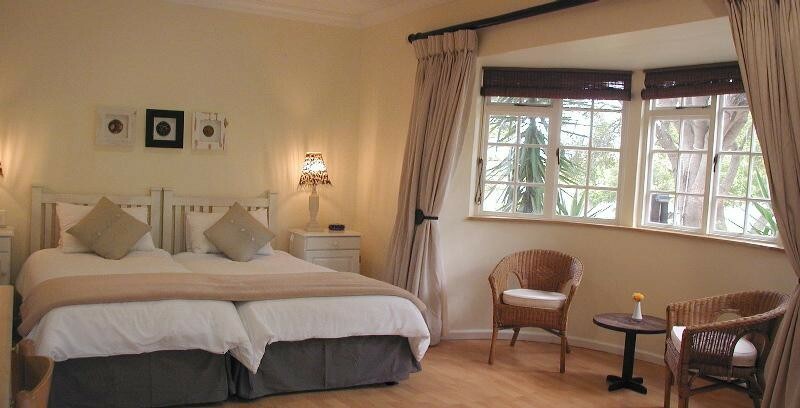 We are pleased to welcome you at our guesthouse.